Electronic music producer Marshmello entertained players around the world in the first such event in the hugely popular online game. ‘Millions’ of people attended a virtual concert in popular online game Fortnite on Saturday as electronic music producer Marshmello entertained players worldwide. “We made history today! The first ever live virtual concert inside of @fortnite with millions of people in attendance. So insane, thank you epic games and everyone who made this possible!” tweeted Marshmello, real name Christopher Comstock. “What makes me happiest about today is that so many people got to experience their first concert ever. All the videos I keep seeing of people laughing and smiling throughout the set are amazing. Man I’m still so pumped,” he added. Fortnite, a shooter-survival game in which players fight online to be the last person standing, has rocketed in popularity since its release in 2017, notching up more than 200 million registered users worldwide according to a statement from developer Epic Games in November. Sixty players at a time were able to watch the concert in each of the thousands of virtual locations, according to technology website The Verge. Footage posted online by hundreds of players shows their in-game avatars dancing and flying to the music, many of them wearing Marshmello’s signature helmet. 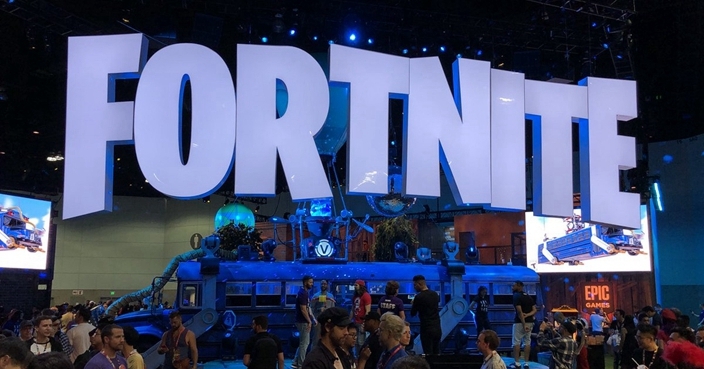 Epic has yet to release any official figures for the number of players who attended the event but executive Sung Chul Park said in November that the all-time high for the number of concurrent players was 8.3 million. Marshmello shared a video of the full performance on his YouTube account.